Few things in PTC can appear more challenging then wet cleaning which is why wet cleaning has struggled to replace solvents in the industry. 99% of textiles that come over the counter can be cleaned with water, but it comes with the caveat of why. If it requires more time, more classification, more risk, more reading of labels and more handling why would you wet clean it? Maybe the soil load, perhaps the client requested it, maybe trim or ornamentation would not survive contact with a solvent, so we manage the complexity. 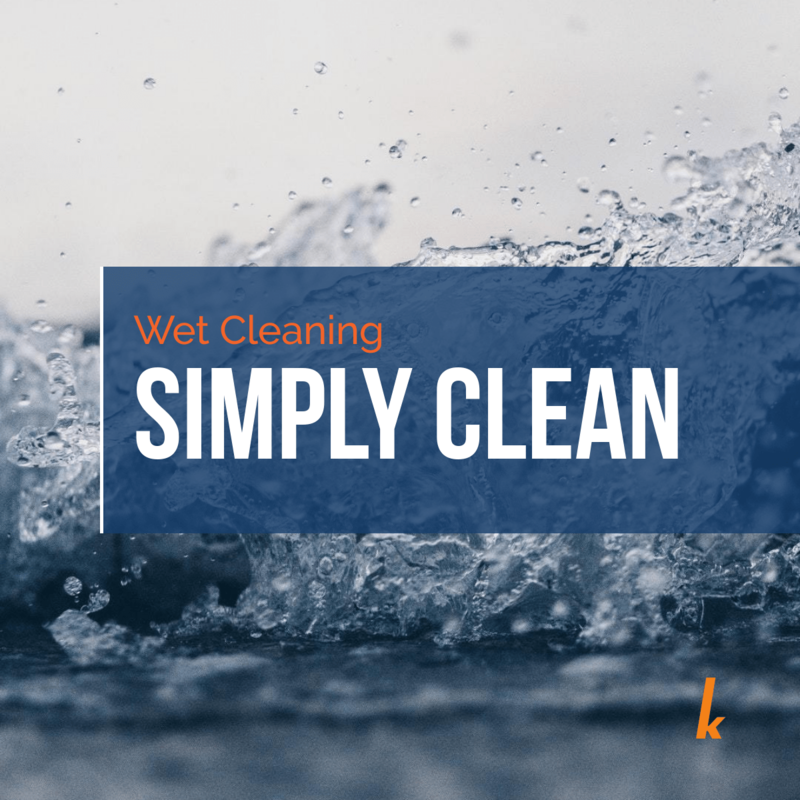 If you felt your wet cleaning department could run at the same level of “simplicity” as your dry-cleaning department would you use it more? Because the formulation allows the operators to dry everything down to zero rest humidity and send it to press you get the same efficiency as the dry cleaning department. In the past wet cleaning, departments had to separate into three or four different load classifications and then again for colored garments and light garments. Wool would be separated from silk and separated from blends. Cotton would be separated from linens and polyester. A typical wet cleaning department might have eight or ten unique loads to manage risk. With LANADOL X-Press and the LANADOL Dry programs, you have three products, two programs, and four classifications. LANADOL Sensitive for items of the most delicate nature, dry clean only suits, slacks, dresses separated into lights and darks using the traditional LANADOL Aktiv and LANADOL Apret. LANADOL Dry separated into lights and darks for everything else using the revolutionary LANADOL X-Press. It is that simple. For most plants who choose to keep a traditional dry-cleaning machine on site you will see that the most sensitive items, the ones with the highest risk will go to dry cleaning, only if the need or demand for wet cleaning is present do you have to select it, but it is still a completely acceptable and safe method if you choose it. For the remaining 80% of the work that comes into the plant, LANADOL Dry is the best solution. LANADOL Dry optimizes the capacity of the machine, allowing you to run between 60-70% of the maximum load size, it is quick, 24-26 minutes. Everything cleaned in LANADOL Dry goes into the dryer and comes out ready to press, and the garments have a wrinkle-free appearance and easy finish. The garments are clean, including stubborn oil and pigment soil and best of all the process is safe enough for a lot of durable wool, silk, rayon, and linen blended material that in the past would have gone into a sensitive classification. For any plant looking to increase production while limiting investment, this is a proven method and offers the simplest way to expand your wet cleaning department without compromising the desired results. We would love to share more about LANADOL and wet cleaning with you. Please give us a call, after all; we invented it.